Hello all! 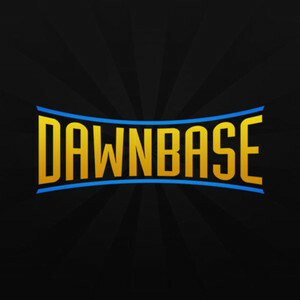 This is my first guide here on Dawnbase. So I figure who better to start with than my fav champ, Atrocitus - THE BIG RED MACHINE! I see Atrocitus as more of a power damage bruiser rather than a true enforcer. To me, his survivability just doesn't match that of most other enforcers. So this build focuses on not taking quite as many hits and compensating with some big hits of your own. This guide is for Gotham Heights. Crimson Slash (Q) - Acts as an auto attack reset. Deals power damage to targeted enemy and slows them shortly afterwards. When Enraged, the damage and slow is applied in an area around the target. This is your main source of damage output. Alternate between maxing this and Overwhelming Rage first and second. Come At Me (W) - Taunts all creatures and drones in an area around Atrocitus. Also provides a little damage reduction. And when I say little, I mean VERY little. When Enraged, Red Lantern's Rage deals damage every .5 seconds. The scaling damage reduction is so miniscule that it is of little consequence. It does help against creatures and drones, but provides next to no extra protection against enemy champions. The Enraged version is nice, though. Put a point into this at the start of the game to have it and, more importantly, its Enraged version available for use. Max this last. Ovewhelming Rage (E) - Atrocitus and the targeted enemy champion charge each other. Deals power damage on collision. Enraged version causes Atrocitus and the targeted enemy champion to be taunted to each other for a short time. Good damaging skill with a pretty hefty cooldown. The enraged version is kind of meh to me. Alternate between maxing this and Crimson Slash first and second. Plasma Wave (R) - Spews out a cone shaped wave of RED GOO at all targets in range! All targets hit take damage over time and 15% additional damage from all other sources for 6 seconds. Atrocitus also gains 20 Rage for each enemy champion hit. This skill is so boss. It has so many uses. The greatest of which is hitting the entire enemy team in a mid fight. It can completely change the outcome of a battle. If a point can be put into this, DO EET! Red Lantern's Rage (Passive) - Atrocitus deals power damage to nearby enemies when he gets hit. Has a short cooldown. Atrocitus gains Rage each time he hits a target and takes damage. He will begin to lose Rage after 10 seconds of not gaining any Rage. Atrocitus becomes Enraged at 50 Rage. Being Enraged changes the effects of his skills. With a max Rage of 100, you have the potential to get off 2 consecutive Enraged skills. Choose wisely which Enraged skills to use. Adding levels to this increases the damage bonus and lowers the cooldown. Max this third. Begin the game by purchasing Atlantean Royal Seal and Cosmic Belt. Atlantean Royal Seal - Health, power damage and a nice slowing effect on targets after skill usage. Max this item first. Neron's Contract - Defense against attack damage foes. Also gives power damage. The mod can come in handy as a last ditch effort to keep yourself alive. It does suppress you, though. You won't be able to move while the shield is active. Max this after finishing up Atlantean Royal Seal. You can alternate between this and Helm of Fate. Bypass this if the enemy team is power damage heavy. Helm of Fate - Defense against power damage foes. Also gives power damage. Mod provides power damage equal to 30% of your bonus power armor for 10 seconds. Max this after finishing up Atlantean Royal Seal. You can alternate between this and Neron's Contract. Bypass this if the enemy team is attack damage heavy. Blue Scarab - Power damage and attack speed. Mod adds power damage to your auto attacks. Max this after finishing up your defensive item/s. Cosmic Belt - Health, power damage and power penetration. Leave this at Rank 1 early and max it after all of the other core items. The Book of Eternity - More power damage and penetration. Goes well with Cosmic Belt. Cosmic Staff - Great power damage and cooldown reduction. Also has some awesome mods on it. Starheart - Best pure power damage item in the game. Ra's Al Ghul's Robe - Good item to add to your survivability against all opponents. Also, the mod it provides can possibly give you a second chance to come back and dish out more punishment. Metallo's Heart - Use this if you need some more protection against attack damage opponents. It also provides health, cooldown reduction and a handy mod to slow the attack speed of nearby enemies. Kryptonian War Armor - Use this if you need some more protection against power damage opponents. It also provides move speed, health and health regen. All this along with the very handy Vitality mod, which can go well with the recommended Stolen Powers. There will be times in a game where you will have a decent amount of credits, but not enough to buy or upgrade any of your main items. When these times come, look to invest in a Hawkman's Harness or a Radion Shard. If more survivability is needed, go with Hawkman's Harness. If more damage is what you crave, take Radion Shard. Both of these items can be fully upgraded for a very reasonable amount of credits. They can then be refunded for their full value! FORCEFIELD and GIANT provide early game sustain. BEAST and WRECK provide late game sustain. Altered Blue Scarab - Adds a little more pop to your power damage boosted auto attacks. Enhanced Neron's Contract - Adds extra beefiness against attack damage opponents. Enhanced Helm of Fate - Adds extra beefiness against power damage opponents. These Stolen Powers provide you with a little boost to your survivability. They can be the difference in winning and losing confrontations. Shazam's Invulnerability - Provides a shield and health (if the shield lasts for its entire duration). Arcane Green Lantern's Healing Wave - Health and additional defense (for a few seconds) for you and nearby allies. Hopefully, this guide proves useful to someone. If it does, enjoy unleashing rage on your foes with Atrocitus - THE BIG RED MACHINE!